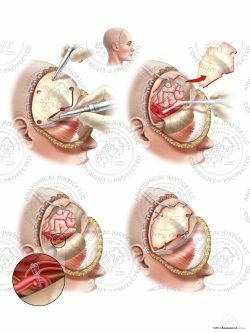 This exhibit features the first part of a craniotomy procedure to evacuate bilateral subdural hematomas. 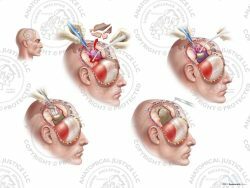 A bicoronal incision is made to expose the superior skull and craniotomy flaps are created using drills. 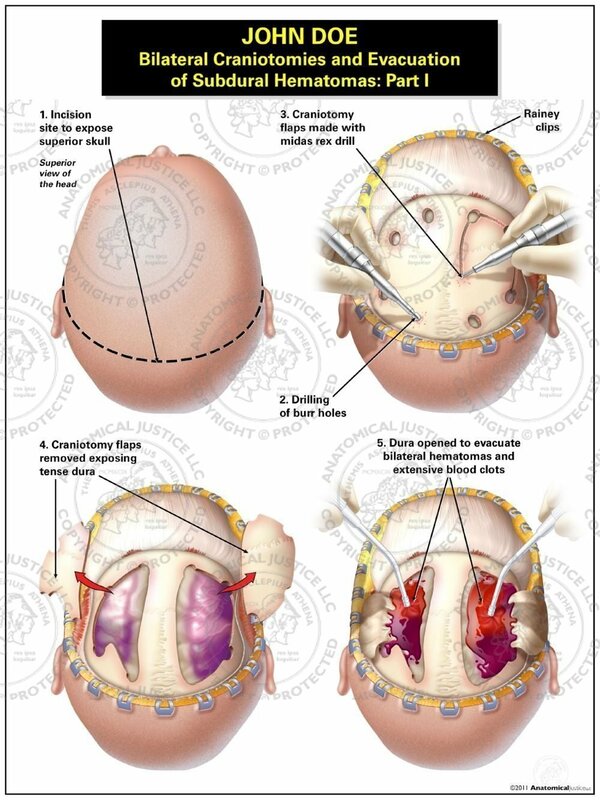 The craniotomy flaps are reflected to expose tense dura with underlying hemorrhage. Incisions are made in the dura to allow for hematoma evacuation with suction.